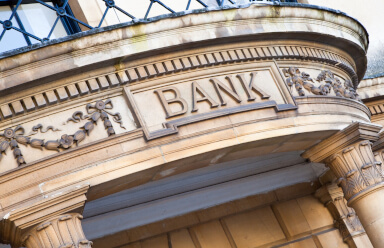 One fund manager has urged SMSF trustees to re-allocate their SMSF assets from major Australian banks into international companies, claiming Australian banks are showing a number of “red flags”. Speaking at a lunch in Sydney yesterday, PM Capital chief investment officer Paul Moore said while SMSF trustees and even professional investors may be stuck with the habit of having a large allocation to bank stocks, major Australian banks are likely to be reaching the end of their rally. Mr Moore said while the prospect of franked dividends may be attractive, investors need to ask themselves “if they’d rather receive a 3 per cent return from their franked dividend or earn a 10 per cent return, pay a bit of tax and end up with a 7 per cent return”. “If people get a dollar back from the government they think it's Christmas even though it’s just one dollar – they’d rather get that one dollar back from the government than get five dollars back from somewhere else,” said Mr Moore. Bank stocks, he said, have mostly just gone up and down over the past 18 months. “They haven’t actually done much over the last 18 months, so it tells you that they’re struggling a bit because their earnings are maxed out and their valuations are pretty high,” he said. Mr Moore said investors should be looking at overseas banks which are generally 20 to 25 per cent cheaper than Australian banks and with an elevated currency. Australian banks he believes will begin to struggle in terms of what investors can get in total return. “I suspect we really are in the final innings for banks in terms of absolute performance relative to what you can get elsewhere,” he said. However, SMSF trustees are probably reluctant to give up their bank stocks since they’ve done well with them previously. “Until they’ve had a bad experience, they probably won’t sell,” Mr Moore said.